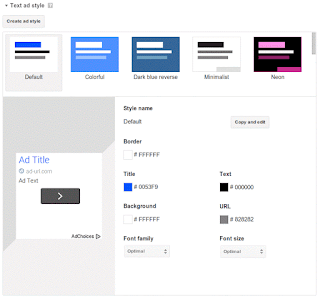 How to Customize Ad Styles to Increase Adsense Revenue. Google adsense serves 3 primary types of ads which are banner ads, text ads and link ads. Among these 3 types of ads, banner ads may include images, animated images, animation, video etc. different types of ads. 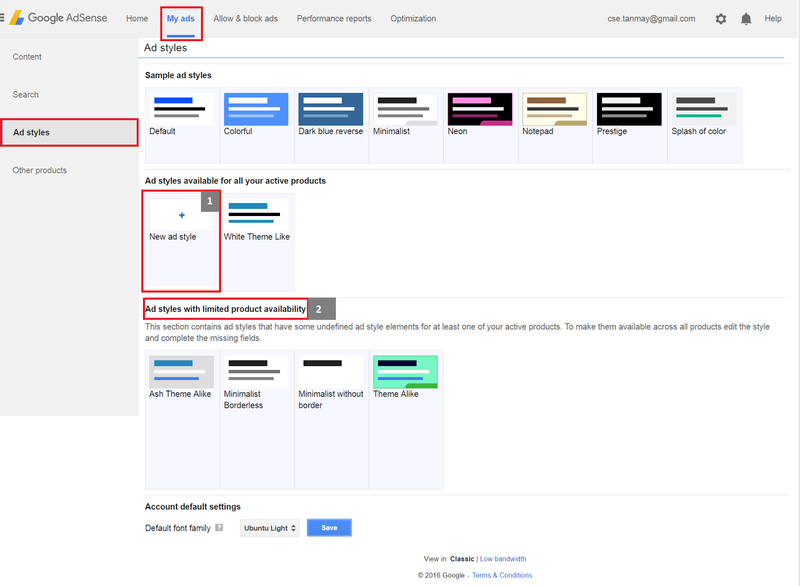 As per google adsense guidelines, we are not allowed to modify the appearance of an ad. Also it doesn't provide a mean to do that. But adsense provides a way to modify the appearance of it's text and link ads. This is so great. We can customize the ad styles to meet the styles of our webpage. 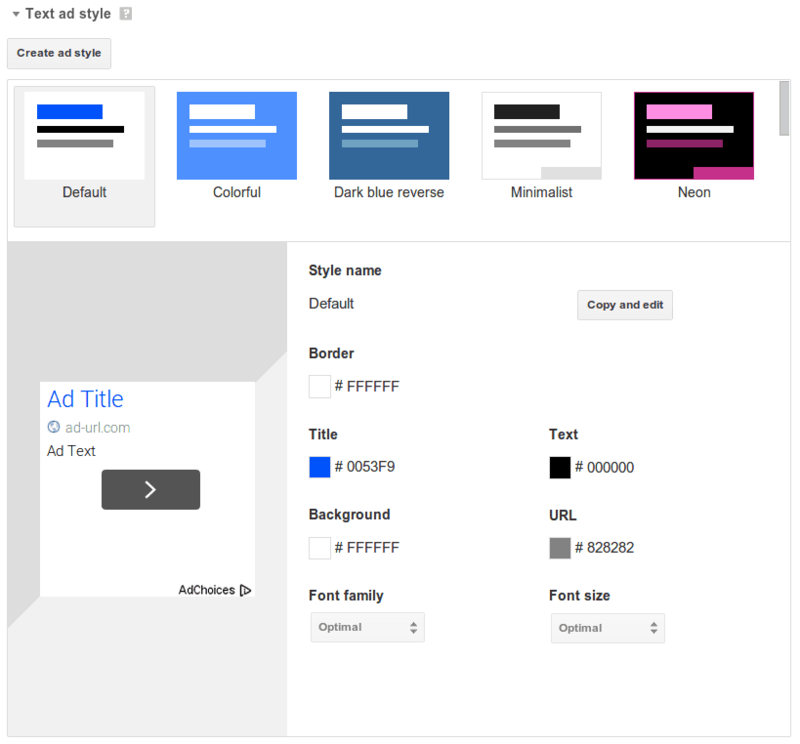 Why we should customize ad styles? Simple answer is to make the ads look like a part of the webpage instead of an ad. Consider that you have a page with links in PINK color, and you have a link ad unit in between two paragraphs which is a great ad position for link ads (learn about 5 best performing ad positions) but the links in the ad are of color RED. Now the reader will definitely find out that these links are not part of the content. But if these links were also in PINK color, they should have seem more like a part of the content and users would have been more intended to click on them. This is why we should customize style or appearance of link and text ads. And guess what, we won't have to hack it, google adsense already provide the way to do this. 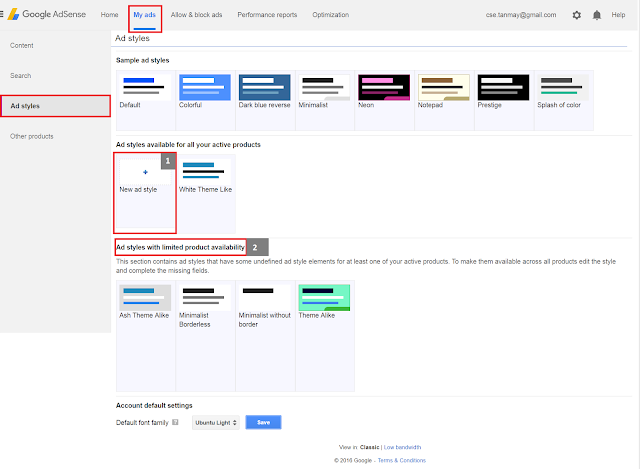 How to customize ad styles in google adsense? 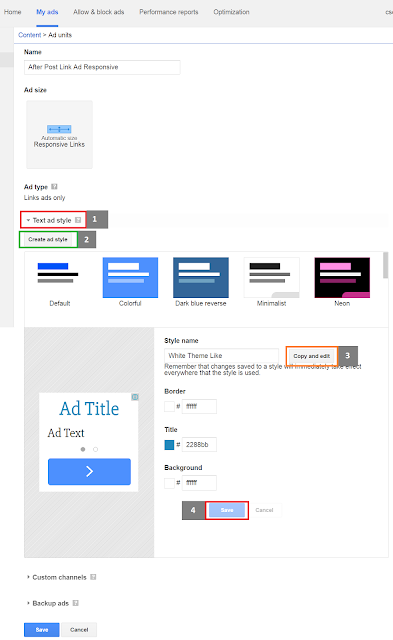 You can change the ad styles of an existing ad unit or when you are creating a new ad unit. 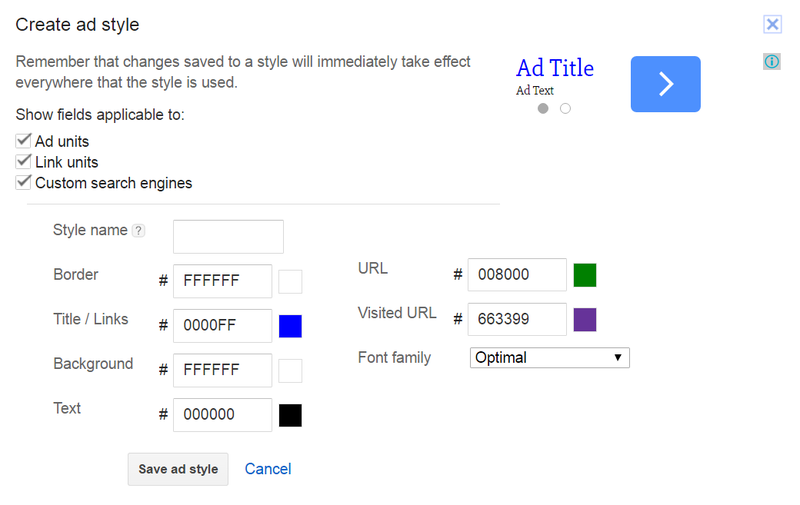 You can also create ad styles or modify ad styles separately and assign them later to ad units. We will see all of these approaches. Click on any of the ad unit name to modify the ad unit. A page like following is supposed to appear. Click on the Text Ad Style (1) dropdown. You can also click on any existing ad style to modify that style. In this case, you have to click on the Copy and Edit (3) button to make a copy of that ad style and then edit it. Finally save the ad style by clicking on Save (4) button. This is same as Existing Ad Units. When you are creating a new Ad Unit, you will be taken to the same page where you edit an existing ad unit, so the procedure is same. This is the place where I would recommend you to create and manage all your ad styles. Several things to notice here. First block of ad styles titled as Sample Ad Styles are the default ad styles from adsense. You can hover your mouse pointer over these ad styles and a link will appear to copy and edit these styles to create your new ad style. Delete: Delete this ad style. The third block of ad styles title as Ad styles with limited product availability are the styles you have created which are not fully configured. This is why I recommend this place to create and manage your ad styles. Text ad styles can be for text ads appearing in a banner ad unit, link ad units and custom search engines ad units. But when you configure the ad styles in the Create and Edit Ad units panel, options for search engine ads might not be there. Okay now lets look at the Create and Edit Ad Styles panel. Bring the panel either of editing an ad style, copy & edit an ad style or by creating a new style. First of all select the ad types where this ad style can be applied, in this example they are Ad Units, Link Units and Custom Search Engines. If you are not editing, then give the style a name in the Style Name textbox. Then fill out the values for different style options and finally click on Save Ad Style to save the style. Great. Now let's what the style fields are for. Border: Color of the border. If you do not want a border then give this the value of the background color where the ad units will be placed. For example, if the background of my content is #FFFFFF and if I don't want to have borders for my ad units, then I would have set border color to #FFFFFF. Title / Links: Color of the title or links of the ad unit. This is applicable in ad units with text ads or link ad units. Give this a color same as the link's color of your content. Background: Color of the background of the ad. I would recommend to set this the same as the background color of your content so that the ad gets blended with the content. Text: Color of the texts of the ad. Give this the color of the text of your content. So this looks like a part of the content. URL: This is applicable for Custom Search Engine ads, as they not only show linked text and normal text, they also show the URL to the page so fix a color here, you can give it same value as value of Title / Links field. Visited URL: Give it a value which is a bit darker than the color of URL. Font Family: Font of the texts or links or URLs of the ad unit. Try to find a close match of the font you use in your content or select Optimal so that google decides the font. So this is it. Go to your adsense account now and fix the styles of the ads so that they get blended with the content of your website and bring you bit more money with clicks on them. Cheers. How to find and block low-paying ad networks in google adsense?